Fairfax County investigators are asking for tips on early-morning blazes in Little Rocky Run. Investigators from the Fairfax County Fire Marshal’s Office and police department are asking the public for information on a series of car fires that broke out early Saturday morning in the Little Rocky Run neighborhood near Clifton. and one on Rock Lawn Drive. The fire department said it’s unknown whether the same person is responsible for all of the fires. 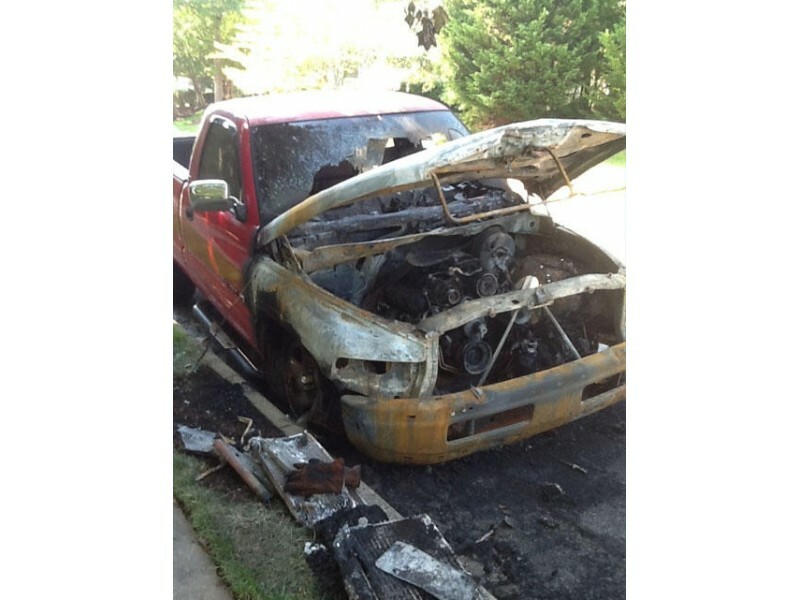 Seven vehicles were torched Saturday, four others earlier this month, says Fairfax County fire department. 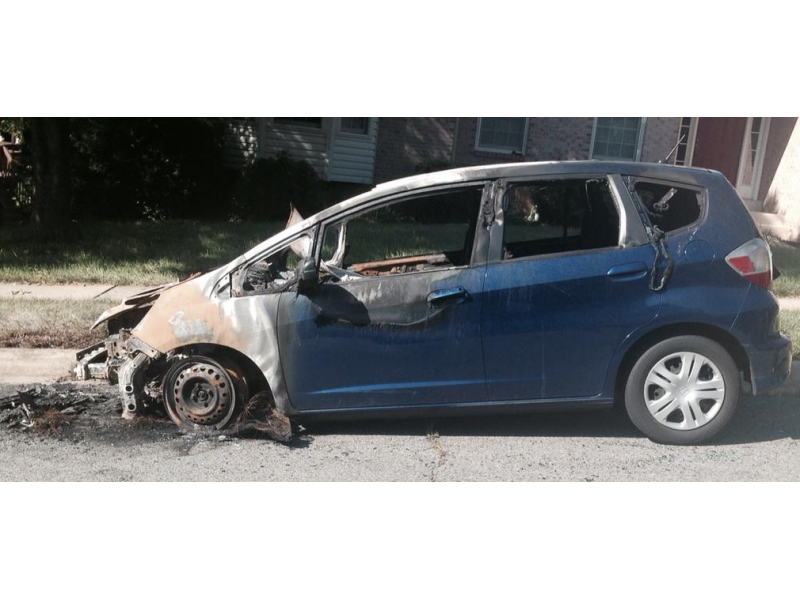 Four teenage boys have been charged by Fairfax County fire investigators with setting fires early Saturday that turned seven vehicles into burned-out shells. The vehicles were parked on the streets of Little Rocky Run, a residential community between Centreville and Clifton. Fire and police units responded to reports of the burning vehicles between 3:50 a.m. and 4:40 a.m. Saturday and extinguished the blazes. The juveniles – two 17-year-ols and two 16-year-olds – were arrested and charged Wednesday, according to the Fairfax County Fire and Rescue Department. They also have been charged with three vehicle fires that broke out on July 3 and one more on July 15. The 11 fires caused more than $120,000 in damages, the department said. The teenagers live in the Clifton/Centreville area and are being held in the Fairfax County Juvenile Detention Center, the fire department said. The Fairfax County police assisted fire investigators during the investigation. Each juvenile was charged with multiple counts of burning or destroying personal property (Virginia Code 18.2-81), and one count of setting fire to woods, fences, grass, etc. (Virginia Code 18.2-86). Two of the teens, a 16-year-old and a 17-year-old, face 11 counts of 18.2-81, the fire department said. The other 17-year-old faces 10 counts of 18.2-81, and the other 16-year-old faces four counts of 18.2-81. Of the 11 vehicles fires, three occurred on Chasewood Circle at Hart Forest Drive, two on Laurel Rock Court, one on Rockland Drive, one on Rock Lawn Drive, one on Stonefield Lane, two on Quigg Street and one on Mount Olive Road.